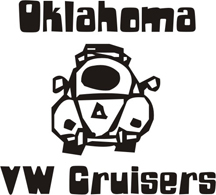 Oklahoma Vw Cruisers • Project on the way. Here are some shots of my 65 Square that's should be here sunday morning. These are the ones he sent me to show it to me. Hopefully there won't be any problems with it gettin here. She's rough but I think she's a damn fine start. Now on to the pics. Re: Project on the way. Is it lowered already ??? And looks like a keeper i even kinda like the color. Yeah he lowered it already when he got it but he got a few other vw projects and worked on them so this one kinda got put on the back burner. Hopefully I'll get her up and going by next weekend. It's supposed to be here in the morning I can't wait. I feel like a kid waiting on xmas morning lol. Not bad. Odd that the outside looks so nice, but the engine looks like such crap. I would pull it out, and re-seal it, that thing is so old looking, no doubt will piss oil out of every seal on it. Well she just arrived and doesn't look as bad as what I thought it would be. The motor is actually cleaner than what the pic showed. Tearing her down lol. Will be posting up more pics in the build thread. Now comes the fun part. The gathering of the parts. Should be a good time lol. Last edited by mrdubbin on Sun Mar 20, 2011 2:52 pm, edited 1 time in total. Yeah considering I have 700 in it right now I'd say a good deal lol. Now i'm looking for carbs cause these are locked up and need rebuilt. Just trying to figure out if they are the same for the t3's as the t1's and looking for a good deal lol. I'll get out and take some pics here shortly and post them up. Here are some pics of her sitting outside my house in all her dubness. Gotta round up some parts this week so I can start working on her and get her on the road. Since I'm not to great at the whold pic thing using the [img] thing lol here is a link to my photobucket so ya'll can check it out. And remember if you have some spare parts I can use laying around I would be glad to come by and take them off your hands if we can work out a deal. Don't have a huge wad of cash but I do have some to get her on the road. Thanks guys. 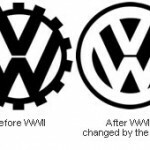 T3 factory carbs are not the same. 34 ICTs will fit with T3 specific intakes etc. Looks pretty decent., one thing that will kill your budget unfortunetly are front brakes. Wheel Cylinders are 100 ea and you need 4. My bad 85.00 and they outta stock. Yeah I found the master cylinder for 150 lol. Didn't think that was too bad. Can get the linkage for 109.99 for the type 3.
youll find one on samba.com cheaper. If you come pic this ride up ill throw in my old one from the notch, should fit and works. I don't wanna T-111, not now, not ever. Well after going through the car some more today it looks like my build thread is gonna turn out to be a funeral thread lol. The square needs a little more work than I am able to do right now. I don't have the resources myself. I was told by a guy on thesamba.com that I have a variant N which he said was one of the more rare ones but I'm not sure. So as it looks right now she'll either goto the field for parts or till I am able to actually work on her. I hate to have her sittin out there but with limited funds and other things going on I just have to put her on the back burner for now. When I finally get to work on her more I'll let everyone know or if I get another I'll post up some more pic. make sure you dont put it in a place where the ground stays damp, or leaking window, too many times ive seen this same thing happen only to go back in 10 years and there is no car left. N model, do a search, it doesnt matter unless its push button dash. Well it's actually not as bad as what I thought. I just don't have the funds right now to finish it. I guess I could just keep cleaning on it. I have a welder I could always patch up a few spots here and there to at least have it on it's way. I might just start cleaning on the carbs I have and see how much the rebuild kit for them is so I can get them on there. Who knows I just have to see how things go. LOL. Well I figured I would throw a battery in her and see if I could get a response.......................nothing. Started checking the connections at the fuse box and ignition and..................nothing. Turned around and made sure I had a good connection at the battery and saw a spark out of the corner of my eye. Looked over and sure enough. No voltage regulator. Well shoot! Hopefully the LPS will have one and I can get it tomorrow and see if I have any lights at least come on. I'll keep ya'll updated as to what's goin on with her. yep, need that to complete the connection on that fat wire. Yeah I almost made the mistake of just hooking the wires together. LMAO. Had a minor blonde moment. I called the LPS and they said that it's 55 bucks for the regulator! They obviously don't know what they are looking for. I found one at autozone for 15 bucks so next time I'm near there I'll get one lol. Yes sir! That would be exactly what I need lol. Can you email it to me lol. mrdubbin wrote: Yes sir! That would be exactly what I need lol. Can you email it to me lol. Might ask limoguy he was not sure if he was gonna use it or not, cant find the other one.